It’s painful to watch an airplane die. They have a spirit, much like people. It’s tough to describe, but if you fly planes or work on them, you’ll know what I mean. There’s a connection there. It’s a combination of the quirks, smells, dings, and history of a particular aircraft. The most interesting thing about it is that this “heartbeat” is absent from planes retired to museums. Once oil streaks and bug marks are replaced by layers of dust, the spirit disappears. It’s like a stuffed animal. The body is there and the eyes are open, but there’s not a semblance of life to be found in it. So I’ve been watching the Concorde’s swan song over the last few months with a bit of a lump in my throat. I was never enticed enough by the thought of moving at Mach 2+ to fork out the $8,000 for a ticket, but I really liked the airplane and what it represented. And what was that, exactly? For many it represented nothing more than a stinky, noisy conveyance for the fabulously wealthy. To me, it was a thing of beauty. A flying work of art. Concorde was highly futuristic yet also a testament to aviation’s heyday. It was commercial aviation’s Apollo program–one of those things they said couldn’t be done. It was something so far beyond the status quo that it was hard to even imagine. Did you know that the Concorde actually expanded in flight? At Mach 2, the intense heat caused the jet to grow six inches in length. It flew so high that you could actually see the curvature of the Earth. If you looked up, you’d see black instead of blue because the planet’s atmosphere was almost completely below you. But what I loved about it was the class. On Concorde you were still treated like a person, not a number. Food was served on china. Linen tablecloths, real silverware, friendly flight attendents. 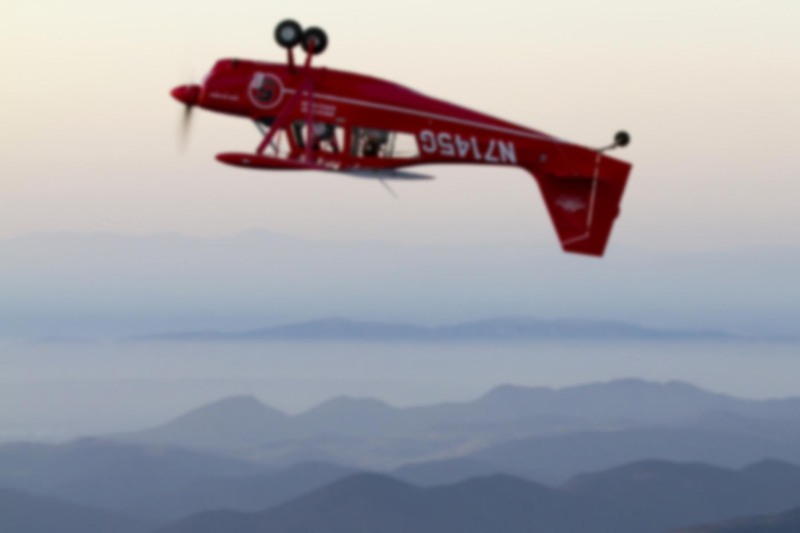 It was like flying the Clipper ships of the 1930s, only at ten times the speed and altitude. Concorde made flying special again–something to be savored and enjoyed, not just endured. Yes, it’s four Olympus engines consumed fuel like a drunk sailor on shore leave. Yes, it was loud. Yes, the cabin was small, the routes limted, the ticket price astronomical, and boy am I sad I’ll never have a chance to ride that sucker into the stratosphere. Since revenue service ended last month, British Airways and Air France have been busy delivering the Concordes to various museums around the world. One was donated to the Museum of Flight in Seattle. A friend of mine is based there and got a few photos of a Concorde landing at Boeing Field for the last time. Apparently it caused quite a scene, both in the air and on the ground. I suppose I’m happy that one of these magnificent beasts is going to my favorite museum. And it’s fitting that Concorde join the SR-71, Apollo capsule, Air Force One, and other gems in the Museum of Flight collection. But a definite sadness remains about seeing this plane grounded. As if this weren’t enough, another revolutionary aircraft has hit the skids before its time: the Raytheon Starship. Never heard of it? Don’t feel bad, most people haven’t. The Starship was every bit as futuristic as the Concorde. Developed in the early 1980’s, it was designed to replace the most successful business turboprop in history, the King Air. Here’s a photo of the Starship in flight. Anyway, after fifteen years of service, Raytheon decided to buy back the Starships currently flying and ground the fleet permanently. The reason? Pure economics. See, the FAA requires that aircraft parts come from approved sources. That means if you own a Starship and need a part for it, you must get it from Raytheon. That means Raytheon must continue to manufacture parts. They also have to supply revisions to service manuals, issue service bulletins, and so on. The Starship fleet is too small and the liability costs too high to continue doing this. I’m sure Raytheon has been bleeding red ink for years on the Starship program. So yet another advanced aircraft bites the dust. Concorde and Starship were incredible airplanes. I can’t help but feel the world is a slightly duller place without them, though there is some comfort in knowing that what we learned from building and flying ’em will live on. I dreamed of flying the Concorde as a kid! Sad news. Having a sister in Seattle who was once a docent at the Museum of Flight is a real treat. Last time I was there, they had just gotten the SR-71. If memory serves me correctly, they actually got a YF-12(A?) and then painted it to be a “Blackbird”. Very nice post… I love your use of pictures and links in your articles. To see the Starship in flight is a remarkable sight. I live in Orlando and I occasionally see one flying around Executive (KORL). As a matter of fact, As recently as last week. With the mention of all but a few of the fleet being grounded, I wonder how long this guy will be able to keep it flying. I own a concorde and you dont hahahaha! I work for Britsh Airways and was able to purchase an old concorde. HAHAHA! I have one and you dont, arent you sad? I can fly it whenever I want. The Museum of Flight has one of these Lockheed D-21 drones. In fact, it sits on top of the M-21 in the museum. First time I saw it I couldn’t figure out what that thing was. Anyway, the M-21 is rare. Only two were built, and one crashed in 1966. So the one at the Museum of Flight is a one-of-a-kind airplane. The coolest thing about the display is that they have an SR-71 forward fuselage section on display, and you can climb into the cockpit! Unbelievable considering much of the information about that plane is still classified. Sounds like I need to go back there and check out the display. When I saw it, it wasn’t yet on display. It was in some backlot area getting prepped. We got to see it because my sister was able to sneak us back there, but only from a distance. I think the newest thing they had on display was the F-18 where you could sit in the cockpit. So… yeah… quite a while ago. You’ll have to check it out next time you’re there! Did you get to go inside Air Force One? Also, check out page 4 of those photos. Loved your comments about the Starship. The four owers of the remaining Starships in active service are intent on keeping them flying. 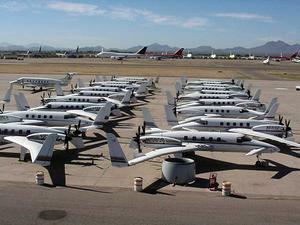 We own RAPID’s entire inventory of Starship parts including 8 decommissioned airframes at Pinal. So we should be able to keep these four airframes flying for decades. Thank you for an excellent commentary regarding this wonderful airplane. Coming from you, the compliment means a lot! You seem to be the main force behind keeping the Starship alive. I’m glad to hear you’ve purchased those spare parts and have the wherewithal to ‘keep ’em flying’. Just flew NC-51 to CO…90 mins of holding, 3 IFR approaches, 1 missed at mins, 2 boot cycles…dead tired…but had to reply before sacking out. I saw the Starship at the Salina launch of the Global Flyer. I really think that they are one of the coolest planes ever built and I would like to fly one some day. If you have some time after the chase, fly down to KEWK, Newton, and come by Hesston College Aviation. I’m sure there would be a few students along with me interested in the plane. By the way, Newton has an ILS on 17. Keep up flying that beautiful plane.